I recently received a message about iPad storage and running out of room for movies. Be patient while the storage list is built. You can then see what apps and content are taking up the most space. If your iPad is nearly full and you still want to keep more content such as movies, you could look into buying an external storage device. Search for “external drive iPad” or something similar to see options and solutions. You can use iCloud Photo Sharing to store your photos and videos (not theatrical movies). A shared album can hold up to 5000 photos and videos. The photos and videos in your shared albums are kept in iCloud, but they don’t count against your iCloud storage limit. So even if you have only the minimum 5GB of free iCloud storage, you can use Photo Sharing to hold a big collection. 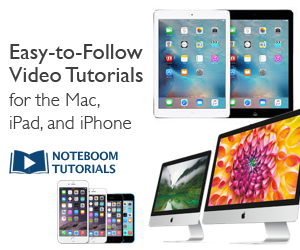 Want to Learn Much More about using your iPad, iPhone or Mac?